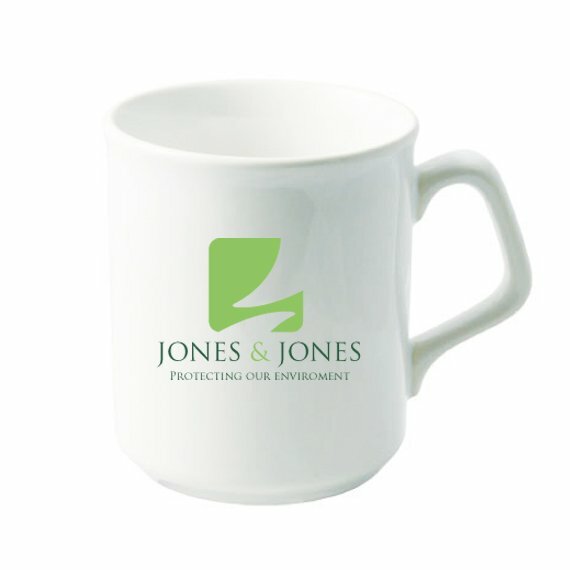 Mugs are amongst the most popular promotional printed items available. They keep your company at the forefront of everyone’s minds and will be used daily by staff and customers. 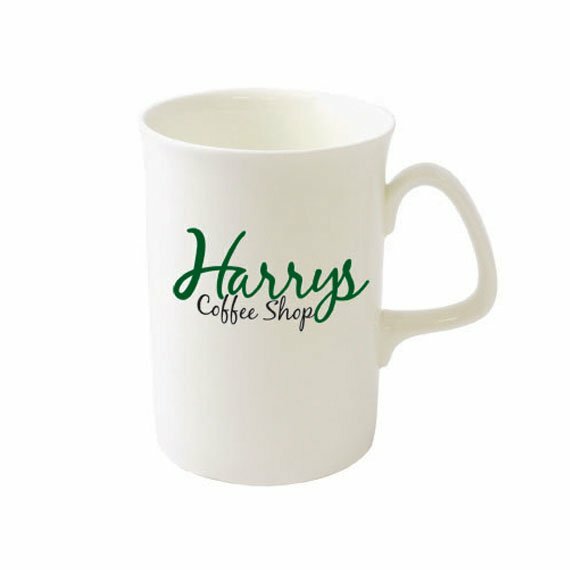 We provide a variety of different promotional mugs that you can choose from, including earthenware mugs and travel mugs. If there are any specific styles that you require but are not listed below please feel free to contact us. 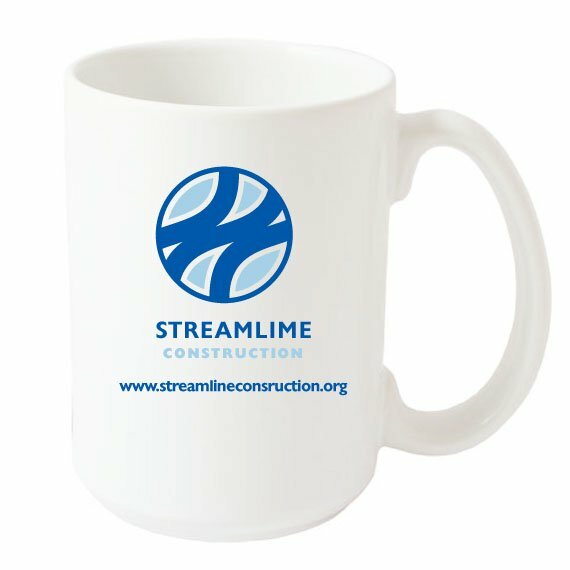 Are you looking for printed mugs for your business or event? We print 100’s of mugs each week in our Bridgnorth factory. 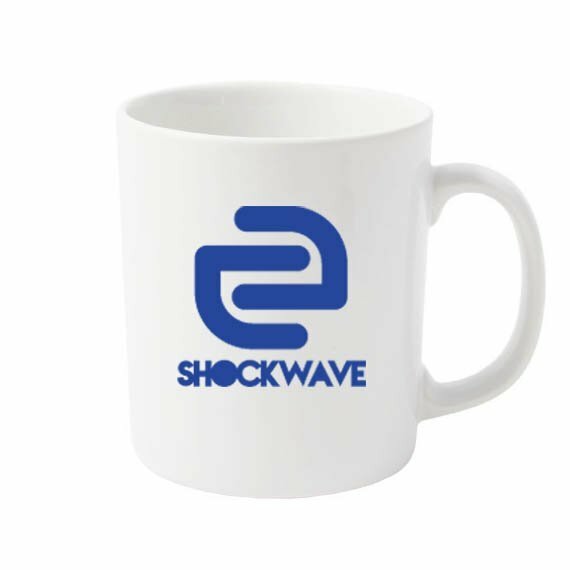 If you only need one mug with your new logo that is no problem! 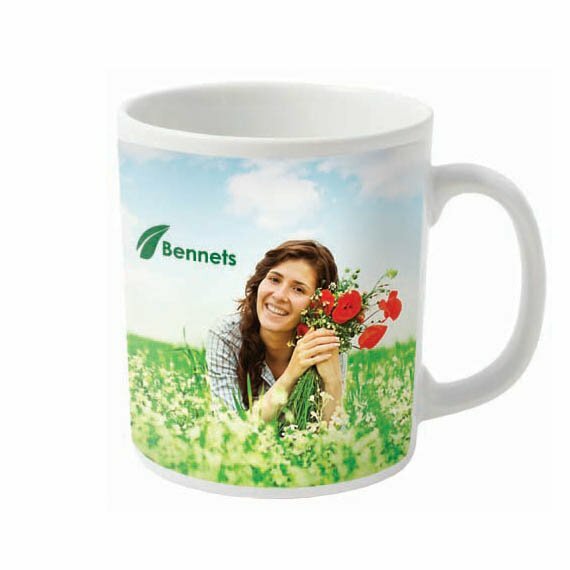 We are able to print earthenware, enamel and china mugs with your corporate design with no minimum order; so you can order exactly how many you need. The Cambridge is a hard wearing, durable and ideal for everyday use. The plain flat sided cylindrical Cambridge is the perfect canvas for your message. 330ml capacity. Can be printed in up to 4 spot colours. The Durham mug is the most popular of our Dye Sublimation shapes and enables you to achieve bright eye catching full-colour designs on mugs, with the brightest of colours. The bell mug is not a shape which you see everyday. This unique and slightly quirky mug shape will be certain to get you noticed. The most popular ceramic mug in the industry and its easy to see why, sporting an angular handle and curved top lip the Sparta is a hard wearing earthenware mug with broad appeal. 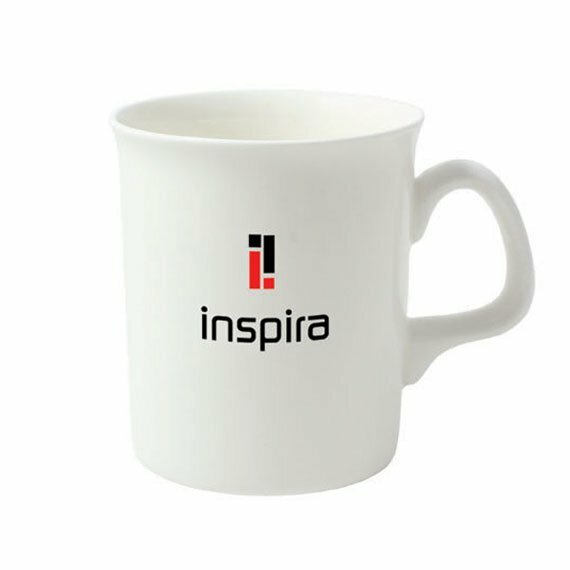 Used by everyone including schools and hotels the Sparta mug is perfect for almost any situation and for any company. 300ml capacity. 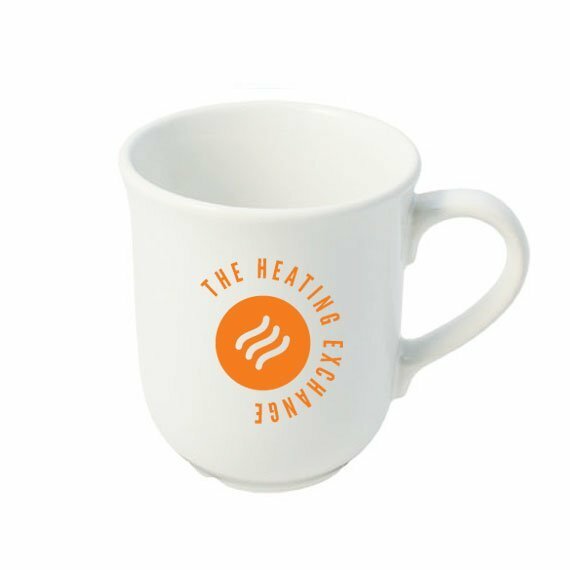 If you are looking for a standard earthenware coffee mug but fancy something which is a little different to everyone else, then the Atlantic mug is for you. A great no-nonsense, hard wearing mug! 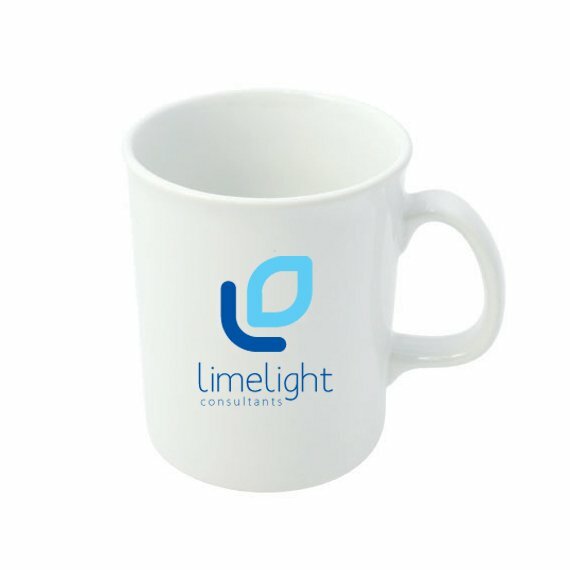 Thin lightweight and very strong, the Marlborough mug is hardwearing enough for everyday use, plus thanks to its modern design it won’t look out of place in schools, company boardrooms or new age advertising firms. A great bone china mug with a broad ranging appeal. Since the mid 1700’s Bone China has been used to make appealing high quality ceramics, and the Opal is no exception. A bone china counterpart to the earthenware Lincoln, the Opal is a tall thin mug with a broad ranging appeal. 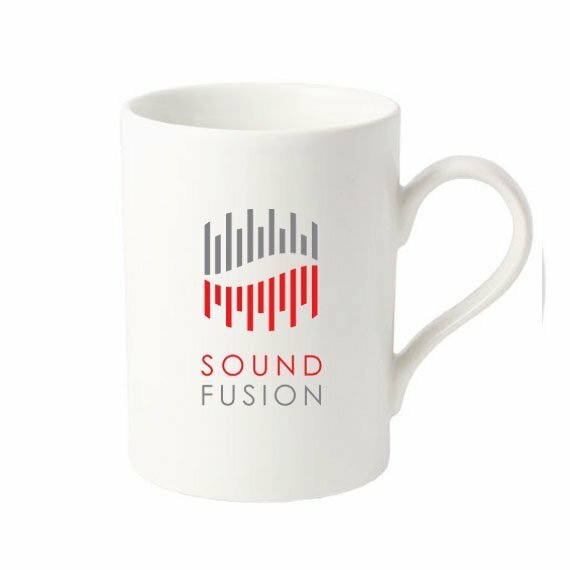 Used by car manufacturers and theatrical shows alike, this mug fits any promotion perfectly. 320ml capacity. 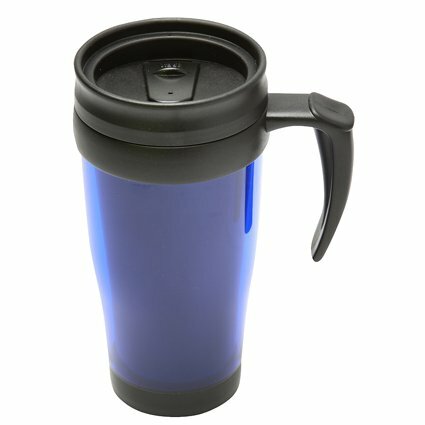 This popular travel mug is available in 10 bright eye-catching colours and features a colour coordinating slider on the lid. 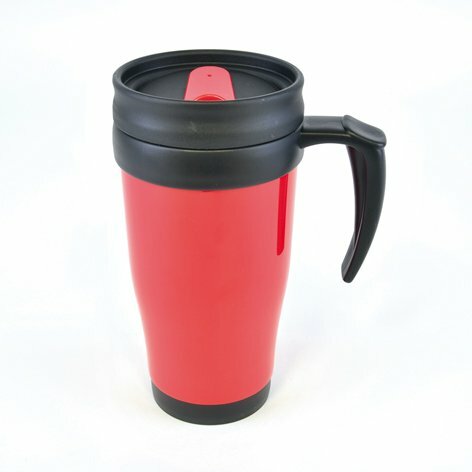 Coloured thermo travel mugs 14oz approx 350ml with a glossy finish. Ideal for travel, office and college use. Available in 6 colours. The Arena Cup is available in a huge range of colour options. 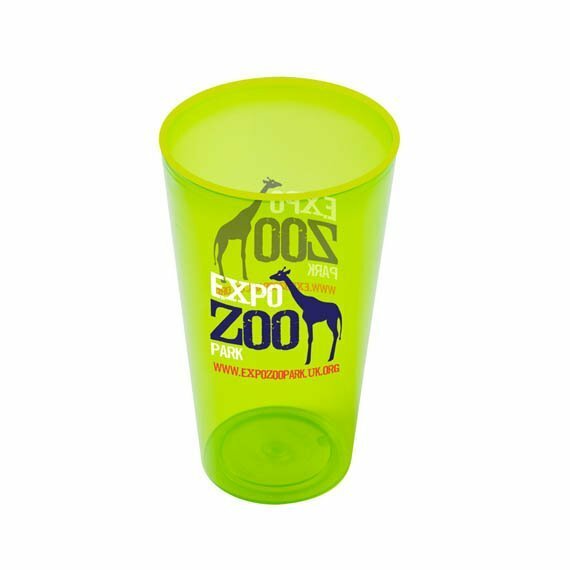 Offering fantastic value for money with a large branding area, it’s a great reusable drinking cup for a variety of venues, events and promotions. Approximately a 300ml capacity. 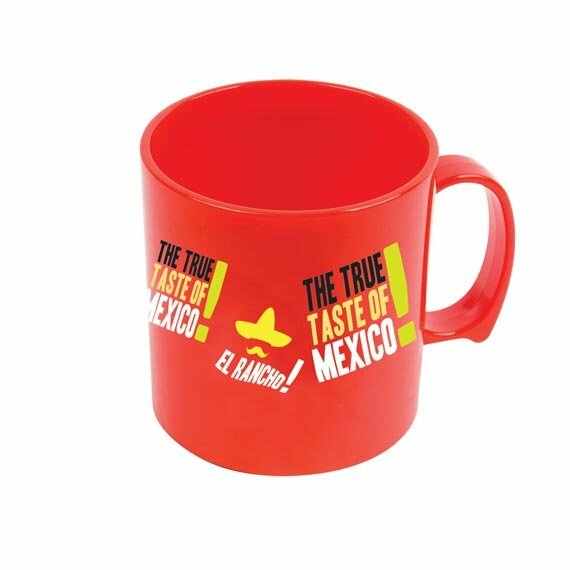 High quality food grade plastic mug with a chunky look and feel, the Standard mug is virtually indestructible. Approximately 300ml capacity.